There is so much information readily available online, and the big question is…Why should we hire a REALTOR® ? REALTORS® are Real Estate Specialists. REALTORS® Lower Your Risk. When you have a Realtor as an advocate, you share some of the risk of home buying/selling with your agent. REALTORS® Have Inventory. According to The National Association of Realtors , over four-fifths of existing homes in the U.S. are represented by real estate brokers. REALTORS® Understand The Complexity Of The Transaction. We’re all looking for more precious time in our lives, and hiring pros gives us that time. Every year, much of the energy the U.S. consumes is wasted through transmission, heat loss and inefficient technology costing American families and businesses money, and leading to increased carbon pollution. Energy efficiency is one of the easiest and most cost-effective ways to combat climate change, clean the air we breathe, improve the competitiveness of our businesses and reduce energy costs for consumers. The Department of Energy is working with universities, businesses and the National Labs to develop new, energy-efficient technologies while boosting the efficiency of current technologies on the market. Increasing energy efficiency has been a long-awaited mission for The U.S. Department of Energy (DOE). This year the DOE launched two new regulations involving air conditioning equipment and water heaters that will increase energy efficiency finally accomplishing these goals. 1. The first change involves raising efficiency standards for Air Conditioning equipment. Two-thirds of all homes in the United States have air conditioners. Air conditioners use about 5% of all the electricity produced in the United States, at an annual cost of more than $11 billion to homeowners. As a result, roughly 100 million tons of carbon dioxide are released into the air each year, an average of about two tons for each home with an air conditioner. Beginning January 1, 2015, new Seasonal Energy Efficiency Ratio (SEER) standards will increase from 13 to 14. The higher the SEER rating, the more energy efficient a unit is. For those not familiar with the term, SEER is calculated by dividing how much a unit cools by how much energy it uses during a typical cooling season. There are many other alternatives that provide cooling with less energy use. You might also consider fans, evaporative coolers, or heat pumps as your primary means of cooling. In addition, a combination of proper insulation, energy-efficient windows and doors, day lighting, shading, and ventilation will usually keep homes cool with a low amount of energy use in all but the hottest climates. Although ventilation is not an effective cooling strategy in hot, humid climates, the other approaches can significantly reduce the need to use air conditioning. 2. The second big change involves water heater replacements. This is an amendment to the National Appliance Energy Conservation Act known as the 2015 DOE Final Rule. When the amendment takes effect on April 16, 2015, the DOE will require higher energy factor ratings on virtually all residential gas, electric, oil and tankless gas water heaters. Hot water has become essential to our daily lives — from washing hands to cleaning dishes to showering — and quickly adds up to higher energy bills. It comes as no surprise that water heaters account for nearly 17 percent of a home’s energy use, consuming more energy than all other household appliances combined. We are all guilty of using a little too much hot water in our daily lives — whether it is spending an extra two minutes in the shower, leaving the water running while washing dishes or washing clothes on hot water instead of cold. Taken together, these habits of wasting water add up. So it is no surprise that the average household spends $400-$600 a year on water heating — accounting for 14-18 percent of homeowners’ utility bills. 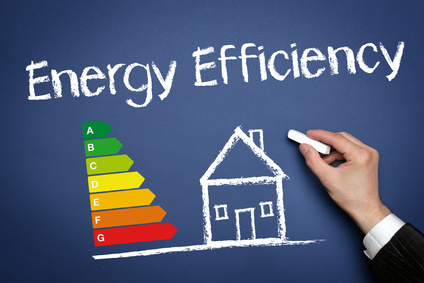 Homeowners need to be familiar with these new regulations to benefit from them, and avoid difficult and costly decisions in the future regarding energy efficiency standards. Alerta con las Ejecuciones Hipotecarias! Estos procesos experimentaron el mayor aumento en un mes por los ultimos cuatro años. El número de solicitudes de ejecución hipotecaria, aumentaron un 15 por ciento de septiembre a octubre, el mayor salto de mes a mes desde el 2010, según el último reporte correspondiente al mes de Octubre publicado por la compañía RealtyTrac, que se especializa en monitorear la actividad de los procesos hipotecarios en el país. Sin embargo a pesar de este aumento, todavía seguimos viendo un descenso del 8 por ciento en el número de solicitudes presentadas para autorizar las ejecuciones hipotecarias desde el mes de Octubre del 2013. Una de cada 1.069 viviendas en los Estados Unidos es afectada con una ejecución hipotecaria. Las ejecuciones hipotecarias en todo el país ascendieron a 58.869 en el mes de octubre, el nivel más alto desde Mayo del 2013. El número de ejecuciones hipotecarias correspondiente al mes de Octubre no tomó a muchos de sorpresa porque ya que en los últimos tres años se ha ido viendo un alza mensual promedio del 8 por ciento únicamente en ejecuciones hipotecarias programas. La actividad en las propiedades reposeídas, conocidas también por sus siglas REO (Real Estate Owned) incrementó paralelamente con un 22 por ciento en el mes de Septiembre, el mayor incremento desde Junio del 2009. We are experiencing one of the biggest foreclosure filling increases for the last four years. The number of foreclosure filings experienced a big jump from September to October alone. 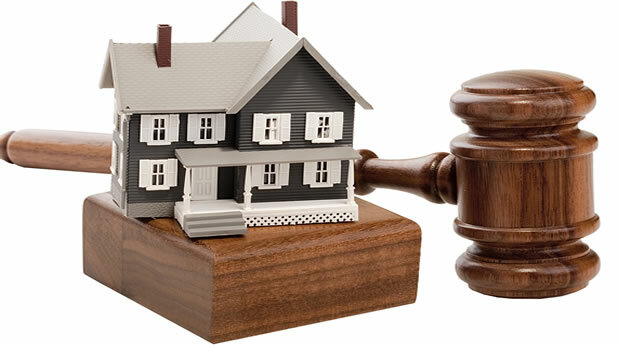 These filings include but not limited to notice of defaults, scheduled auctions, and bank repossession. According to RealtyTrac this is the largest month-over-month jump since the peak of foreclosure activity in March 2010. However even though Foreclosure filings reported were into a considerable 123,109 U.S. residential properties in October, fortunately still represented an 8 percent decline overall in the number of foreclosure filings from October 2013. 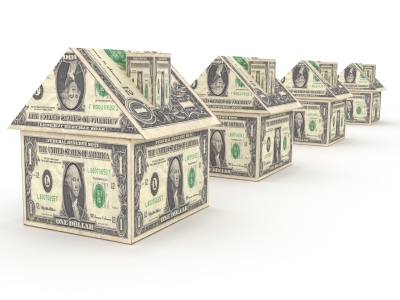 This is equivalent to one house for every 1,069 residential properties in the U.S. reported a foreclosure filing in October based on the latest report from RealtyTrac. These numbers did not take us by surprise due to that over the past three years an average of 8 percent monthly uptick was scheduled for foreclosure procedures in the country. On the other hand, REO activity (lenders repossessing properties via foreclosure) increased by 22 percent from September. The largest month-over-month increase since June 2009. Overall, lenders repossessed 27,914 U.S. residential properties in October, as reported by RealtyTrac which is an agency that monitor housing foreclosure activities in the country.